When it comes to quick and easy dinner ideas, this recipe for Tortellini al Pomodoro is one of our favorites. It only takes about 20 minutes and it’s delicious, warming, and filling. 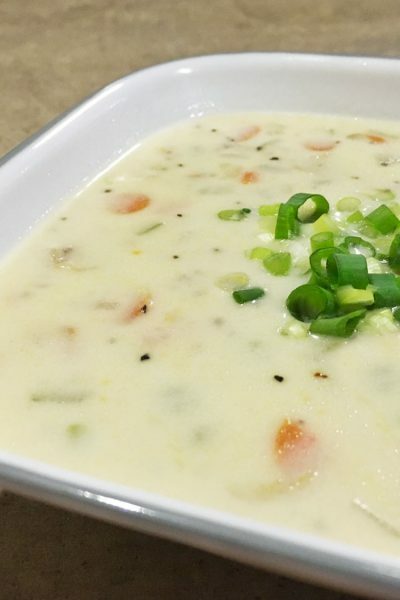 Made from a few basic ingredients, it’s always fresh and is on the table in no time! To give full credit, the recipe was cobbled together by my husband. 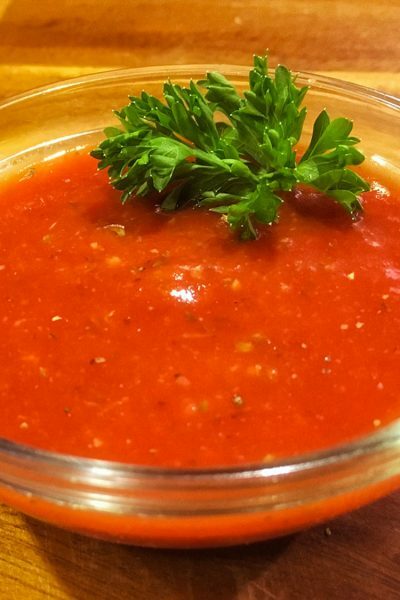 We originally pureed all the vegetables to make a thick quick sauce, but over the years has evolved to become a flavorful olive oil based pasta sauce that is light and easy. Tortellini al Pomodoro is an Italian style dish consisting of tortellini in a flavorful olive oil and vinegar sauce sauce with garlic, tomato, onion, and other flavors from the Mediterranean region. Spiced with Italian herbs, this light but filling dinner can be made in 20 minutes. Serve with sliced fresh mozzarella or Italian bread. 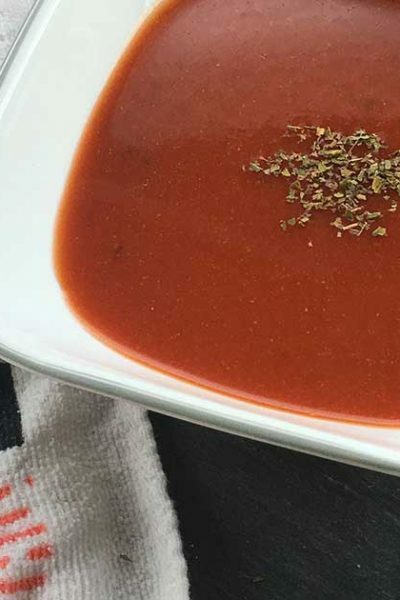 The Tastiest Olive Oil and Tomato Sauce Ever! When it comes to Italian food, there is a sauce for everything. The sauce for any pasta al pomodoro is usually prepared with olive oil, fresh tomatoes, basil, and other fresh ingredients. ‘Al pomodoro’ just means ‘with tomato’ and it’s a basic catch-all for Italian sauces. There are hundreds of ways to make a pomodoro sauce, so don’t feel restricted by the recipe. Traditionally, it is a sauce that is intended to be more light and oily, rather than thick and heavy. You can make it with a few ingredients or lots of ingredients to create complex flavors. 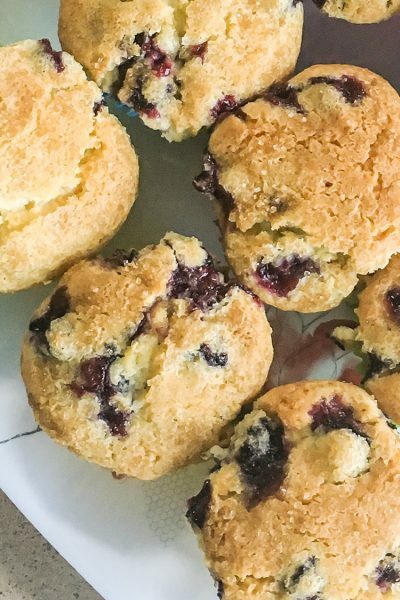 Did I mention this recipe is also budget-friendly? Well, it is! One 12oz package of tortellini, a few fresh vegetables, some spices, and a little olive is all you need to feed a small family. It reheats well up to 4 days later too. 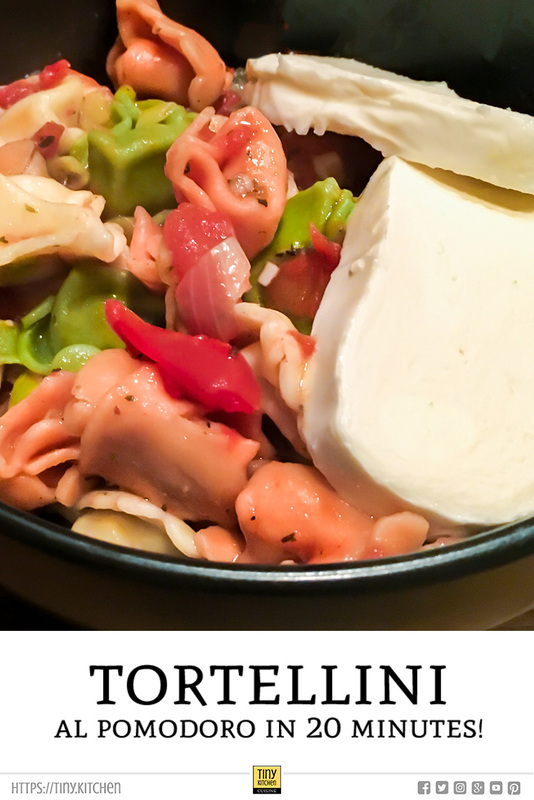 Tortellini is a ring-shaped pasta that is similar to small folded ravioli. This pasta originates from Modena, a city in the Emilia-Romagna region of northern Italy. When cooked, they are a little larger than the size of a quarter. 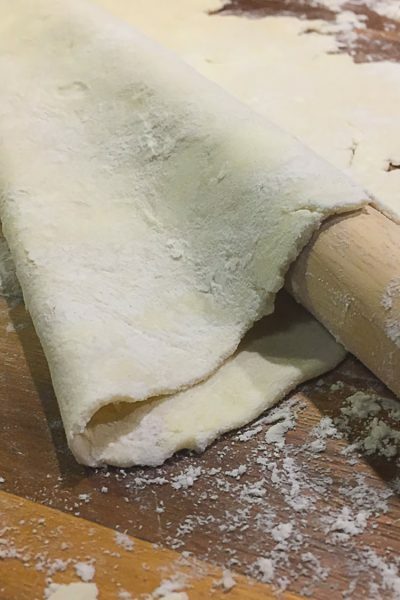 There is a larger variety called a ‘tortelloni’ that’s about the size of a half-dollar coin. They are usually made with a traditional egg-based pasta, but if you’re looking to add more color to your plate, they can easily be found in spinach or beet-flavored variations. You can find tortellini in the grocery store mixed in the fresh pastas or in the frozen section. They also make a kind that is dried and kept in the pantry, but I don’t personally recommend those. They tend stay a little chewy even after they’re cooked. In most grocery stores, cheese-filled tortellini is the easiest to find. 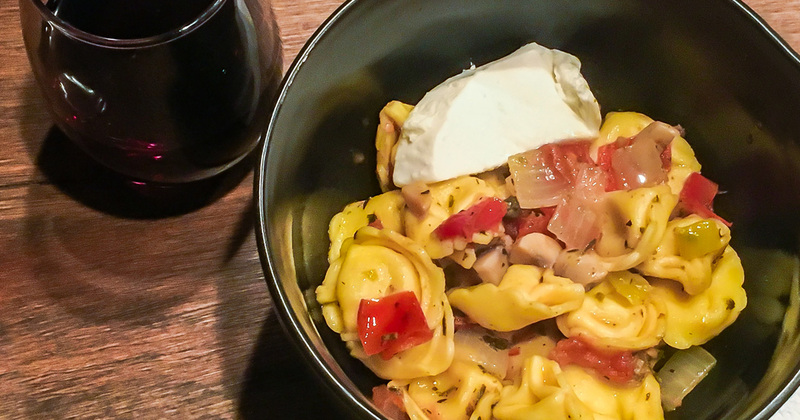 Sometimes you can even get your hands on meat or seafood filled tortellini. For this olive oil based pasta sauce, I recommend sticking with cheese. The strength of flavor in this sauce plays best with the simplicity of cheese. The traditional use for tortellini is as a noodle in soups. It still goes great with this garlicky olive oil and tomato sauce. The folds of the tortellini pasta hang onto the olive oil very well and the cheese-filled centers gives you just the right amount of creaminess as you eat. I also personally like that cooking tortellini only takes about 3 to 5 minutes after the water boils. It makes this meal so fast and such a great addition to any weeknight meal plan. Tortellini al Pomodoro is an Italian style dish consisting of tortellini in an olive oil and vinegar sauce sauce with garlic, tomato, onion, and other flavors from the Mediterranean region. Spiced with Italian herb, this light but filling dinner can be made in 20 minutes. Serve with sliced fresh mozzarella or Italian bread. Prepare the tortellini according to package instructions. To a medium pan, add extra virgin olive oil, red wine vinegar, italian seasoning, salt, black pepper, and red pepper flake (optional). Add onions to the oil and cook for 1 minute. Add garlic and tomato. Cook for another 3 minutes, stirring occasionally. The oil should be a fairly high boil. Cook for 5 minutes with the oil at a full boil. Stir in the sliced pepperoncini peppers as well as the reserved pepper juices. Cook for 2 minutes. Remove from heat and finish the sauce by stirring in capers and lemon juice. 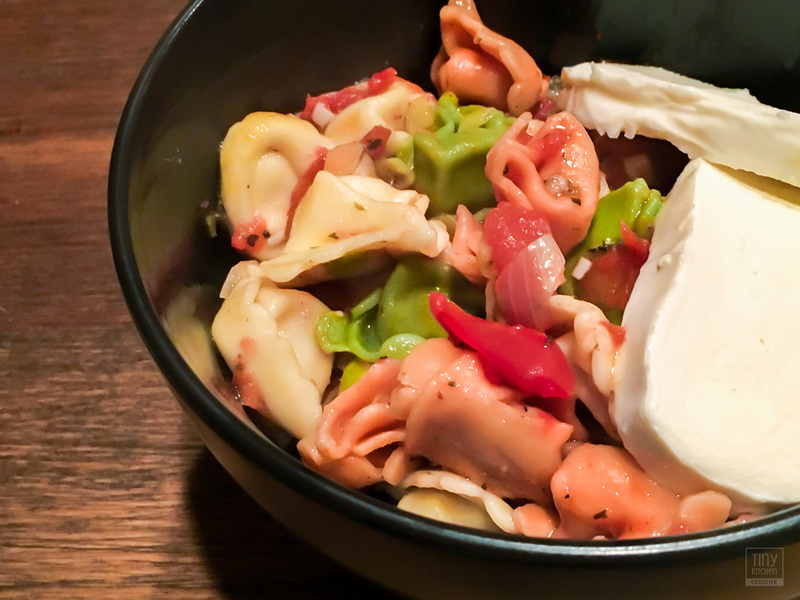 Spoon over cooked tortellini or mix together in a large bowl for family style. Top with a few slices of sliced mozzarella cheese and serve hot. Scaling this recipe is done by adding an additional 1/4 cup of olive oil, 1/2 tsp red wine vinegar, 1 roma tomato, 2 mushrooms, and 1-2 cloves of garlic along with 1/2 tbsp of Italian seasoning for each additional serving. 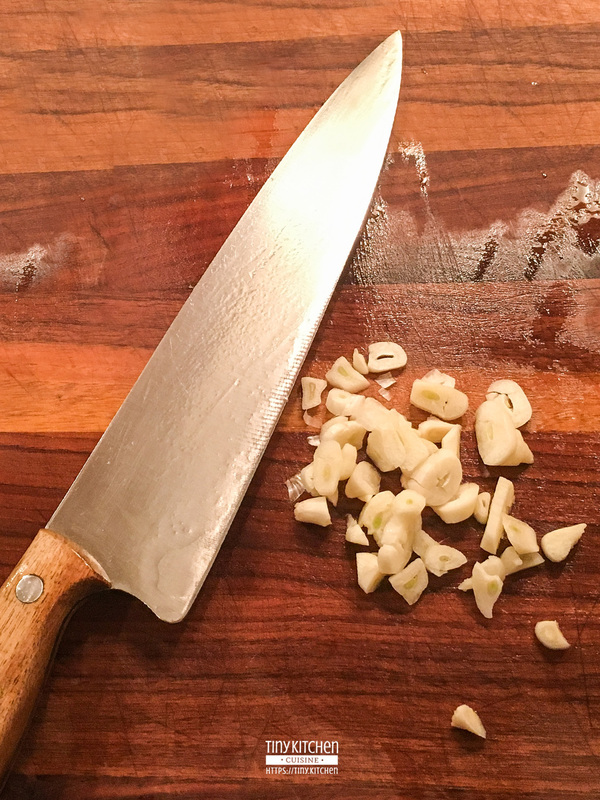 Quick, easy, and a perfect recipe for a tiny kitchen! The sauce only takes a few but common fresh ingredients. 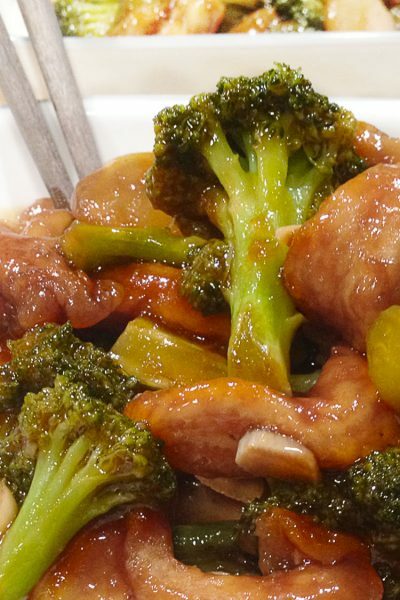 You can add more of the vegetables without altering the flavor if you’re in the mood for a chunkier sauce. It works any time of the year and can be served as full dinner or even as a light lunch. You will need access to a stove top to cook both the sauce and the pasta. Dishes include a medium pot, pan, knife, cutting board, serving spoon, and some bowls and forks. Since you’re boiling pasta and washing oily dishes, this meal is water intensive. Be sure to reuse your pasta water cleverly! We typically making this dish when there are already other dishes in the sink. Why? To make washing our dishes easier! We strain the tortellini right over our dirty dishes. That blasts them with boiling water and makes them easier to clean. This is just one of the many ways we’ve learned to wash dishes efficiently in a tiny kitchen. If you’re looking to round out the meal, I recommend serving it alongside a simple green salad. 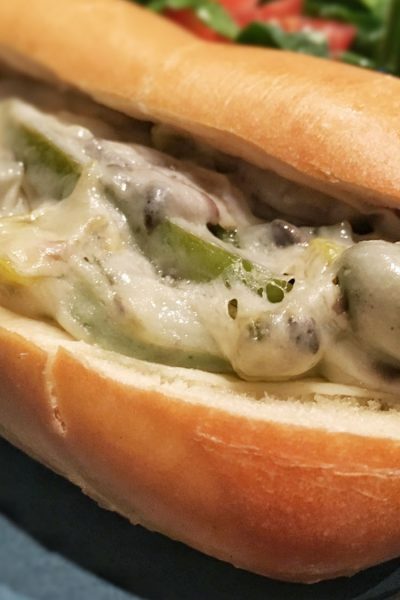 You could even serve it with some Italian or French bread because that oil sauce is amazing to dip bread in!